An astonishing portrait of a murderer and his complex relationship with a crusading journalist Michael Ross was a serial killer who raped and murdered eight young women between 1981 and 1984, and several years ago the state of Connecticut put him to death. His crimes were horrific, and he paid the ultimate price for them. When journalist Martha Elliott first heard of Ross, she learned what the world knew of him-that he had been a master at hiding in plain sight. Elliott, a staunch critic of the death penalty, was drawn to the case when the Connecticut Supreme Court overturned Ross's six death sentences. Rather than fight for his life, Ross requested that he be executed because he didn't want the families of his victims to suffer through a new trial. Elliott was intrigued and sought an interview. The two began a weekly conversation-that developed into an odd form of friendship-that lasted over a decade, until Ross's last moments on earth. Over the course of his twenty years in prison, Ross had come to embrace faith for the first time in his life. He had also undergone extensive medical treatment. The Michael Ross whom Elliott knew seemed to be a different man from the monster who was capable of such heinous crimes. This Michael Ross made it his mission to share his story with Elliott in the hopes that it would save lives. He was her partner in unlocking the mystery of his own evil. 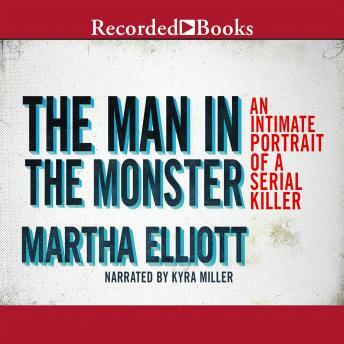 In The Man in the Monster, Martha Elliott gives us a groundbreaking look into the life and motivation of a serial killer. Drawing on a decade of conversations and letters between Ross and the author, readers are given an in-depth view of a killer's innermost thoughts and secrets, revealing the human face of a monster-without ignoring the horrors of his crimes. Elliott takes us deep into a world of court hearings, tomblike prisons, lawyers hell-bent to kill or to save-and families ravaged by love and hate. This is the personal story of a journalist who came to know herself in ways she could never have imagined when she opened the notebook for that first interview.